Ali was given the ball 10 minutes before the tea with India on 53/1 and he seemed to be getting just about enough purchase to create a few close moments. 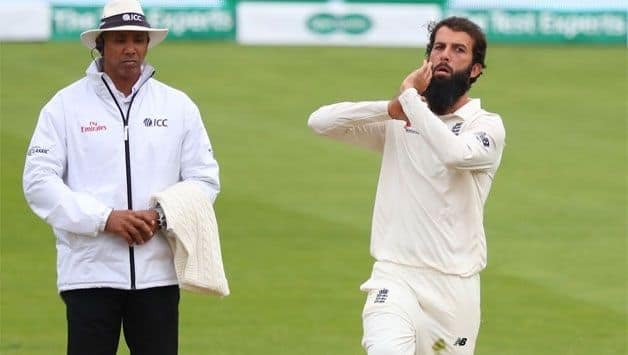 Monty Panesar, who last played for England in 2013, feels India need to employ a positive approach to tackle the treat of Moeen Ali. 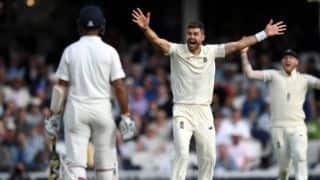 The allrounder was the architect of England’s series-clinching win in the fourth Test at Southampton with a match haul of 9/134, and Panesar believes India need to take him on and not allow him to settle. Ali was given the ball 10 minutes before the tea with India on 53/1 and he seemed to be getting just about enough purchase to create a few close moments. “Moeen is going to probably pose quite a lot of danger,” Panesar told ESPNcricinfo. “I think the wicket is quite dry and he seems to get a nice loop and dip on the ball. It’ll be interesting to see how the Indian batsmen in the next session look to play Moeen, will they attack him or will be happy to play him out. In the previous Test match, India sat in really tight. They didn’t look to come down the wicket and put pressure on Ali. That’s what they need to do. Panesar also weighed in on the terrible time India endured on Day 2 of the fifth Test. 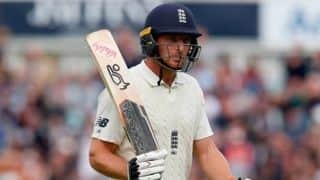 Resuming the proceedings at 198/7, Jos Buttler and Stuart Broad launched a counter attack with a 98-run stand for the ninth wicket to take England to 332 in their first innings. Panesar felt India’s desperation to get quick wickets and get rid of the tail backfired for them. “I think the bowlers were quite desperate. They should have shown more patience and bowled a lot like yesterday when there were no wickets coming. Right now, they were searching for wickets and trying a bit too hard possibly,” Panesar said.